Product categories of Construction Machinery, we are specialized manufacturers from China, Construction Machinery, Crawlwer Excavator suppliers/factory, wholesale high-quality products of Road Tyre Roller R & D and manufacturing, we have the perfect after-sales service and technical support. Look forward to your cooperation! Construction Machinery includes excavator, Wheel Loader , bulldozer, road roller and truck cranes. It mainly using in construction, such as digging, earthmoving, loading and unloading. The wheel loader from 2 ton to 8 ton, 3 ton and 5 Ton is most popular. 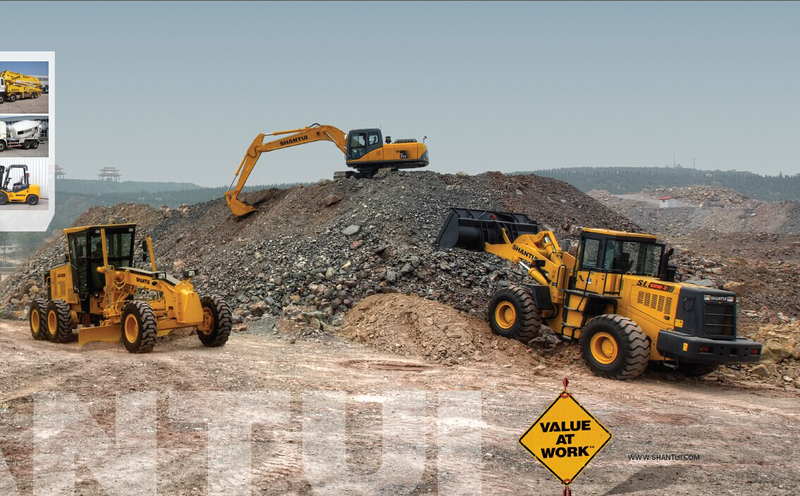 Bulldozer range from 80Hp to 420 Hp, 220 hp SD22 and 230 Hp SD23 is the most popular model. Road roller have signal drum and double drum, also have tire road roller, the capacity ranges from 18 ton to 30 ton, SR20M is the most popular. Truck mounted crane range from 3 ton to 20 Ton mini crane, lifting height from 15 meter to 38 meter. 8 ton, 10 ton crane truck are hot sale. Forklift have 2 ton to 25 ton, both Diesel Forklift and Electric Forklift. 3 Ton Diesel Forklift and 5 Ton Diesel Forklift is most popular. Crawler Excavator ranges from 0.8 ton to 46 ton, 0.8 ton, 1.2 ton, 1.5 ton, 1.8 Ton, 3.5 ton, 5 ton, 6 ton, 13 ton, 15 ton, 20 ton, 21 ton, 22 ton, 30 ton, 33 ton, 38 ton, 40 ton, 46 ton. 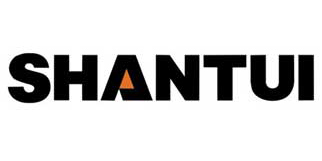 Shantui products including diesel forklift, electric forklift, Heavy Duty Forklift, Gasoline Forklift, container forklift, Side Loader , Pallet Truck , construction machinery including shantui bulldozer, wheel loader, crawler excavator, road roller, generator set, motor grader, truck crane, Construction Machinery Parts, Shantui Parts , Cummins engine parts, komatsu parts, and other machinery parts.